I spent all of last week in London, and there were so many amazing things that happened that it is difficult to know how to arrange them. 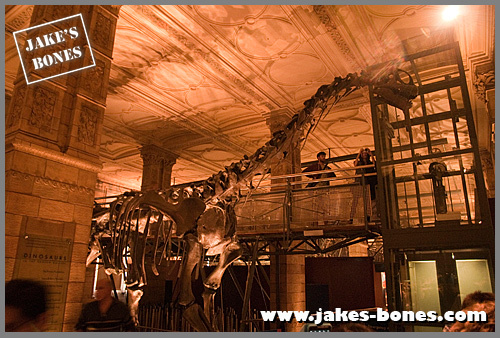 For this post I want to think about what museums actually do, by comparing two pretty amazing museums that are actually completely different, the Natural History Museum and the Grant Museum of Zoology. I'm going to write two more posts about what is in each one (UPDATE: I've written about the Grant Museum here) but the main thing this post is about is comparing how they display and present things. This is inside the Grant Museum. 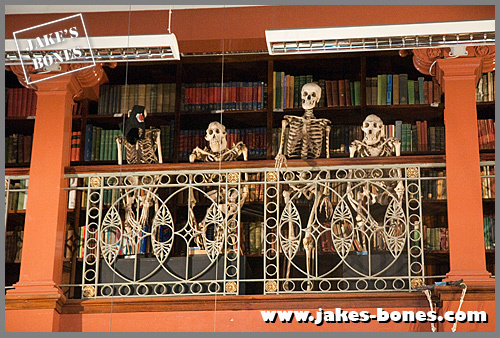 It is really one great big room filled with cabinets and bones with study tables in the middle. It looks really nice and friendly when you go in. 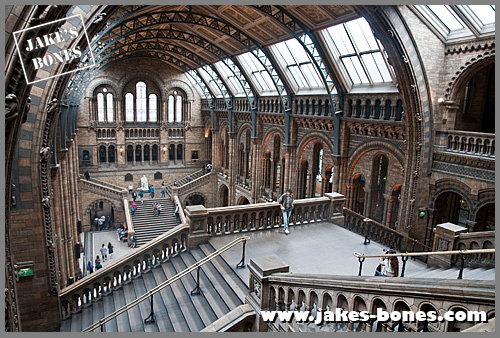 This is the entrance hall to the Natural History Museum. It is impressive but not the most welcoming place in the world. My brother Sam liked it because it was like the museum in Night In The Museum. I think you could fit seven or eight Grant Museums just on the floor here. It is huge with arches and massive like Hogwarts, or a church. 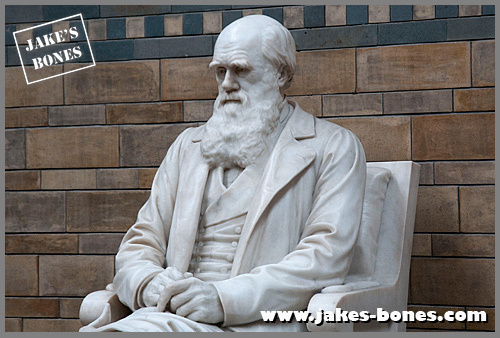 At the end of the hall, where the altar or Jesus would be, is a statue of Charles Darwin, which is a bit of a funny comparison when you think that what he wrote with the Origin of the Species said that the church's view on humans came to be was completely untrue. He doesn't look very happy which is a bit of a shame. If I had done what he did I would be grinning in all my statues and giving two big thumbs up. There used to be a statue of Sir Richard Owen here who helped setup the Natural History Museum. Owen was a brilliant scientist but seems to have been a pretty horrible human being. Darwin hated him. 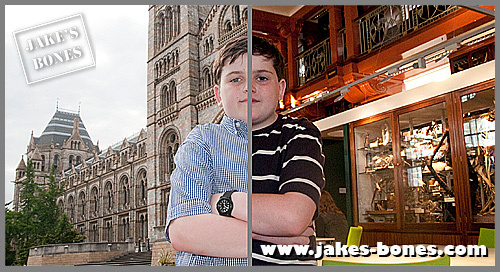 Owen stole and faked other scientists' discoveries, and seemed to be pretty nasty person to everyone he met, but he did do a good thing with the Natural History Museum. "In the early days of the British Museum, prospective visitors had to make a written application and undergo a brief interview to determine if they were fit to be admitted at all. Then they had to return a second time to pick up a ticket - that is, assuming they had passed the interview - and finally come back a third time to view the museum's treasures. Even then they were whisked through in groups and not allowed to linger. Owen's plan was to welcome everyone, even to the point of encouraging working men to visit in the evening, and to devote most of the museum's space to public displays. 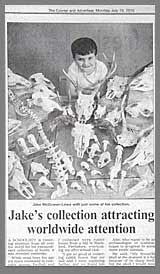 he even proposed, very radically, to put informative labels on each display so that people could appreciate what they were viewing....By making the Natural History Museum an institution for everyone, Owen transformed our expectations of what museums are for." 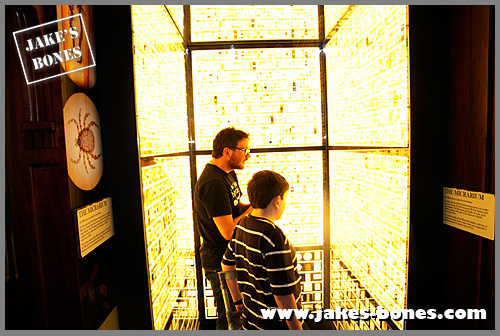 Both museums had good ways of getting people involved in the exhibits. 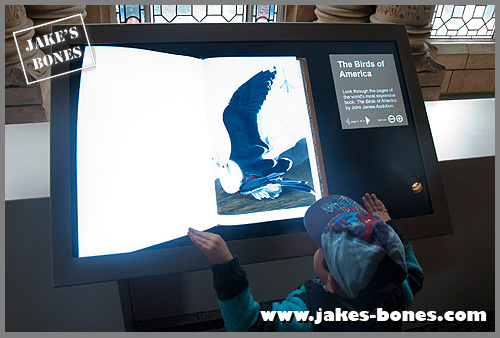 This is my three-year old brother Sam looking at the most expensive book in the world without damaging it - on a touchscreen. 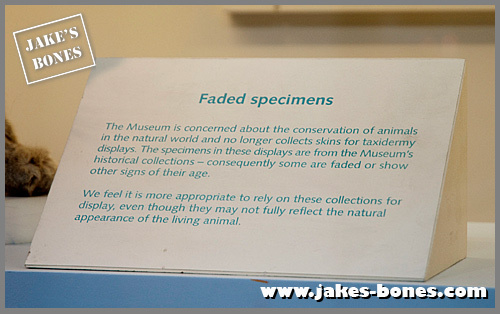 The Grant Museum had smaller touchscreens as well to show information about the exhibits which is a great idea. They also had a brilliant way of showing off thousands of glass slides that would have otherwise just been in dusty boxes. This was very, very clever. (I'll write more about this in my other post about it). 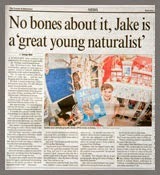 I can identify with this last one because I don't believe animals should die just so people can have skulls or bones. 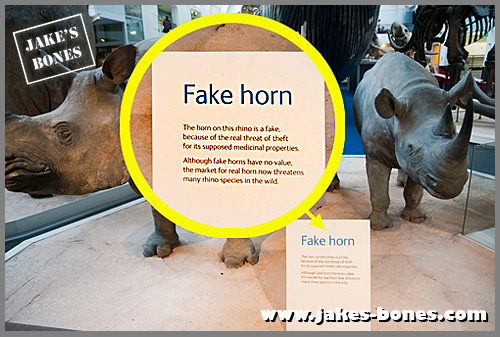 There were also signs showing that the horn on the rhinos had been replaced by fake horn, since real horn is incredibly valuable (up to £250,000 a horn !) because some people believe it helps fevers be treated. (it doesn't). Even so museums can't run the risk of being broken into. 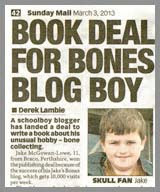 This is a good idea because feeling bones is a great way to find out about them, but it stops them being broken. 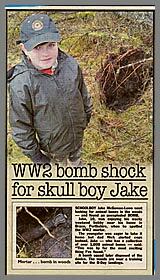 Even I damage some of my skulls by accident sometimes ! Although the main exhibitions are great, it reminded me of the Bill Bryson quote about being "whisked through in groups and not allowed to linger" but if you have hundreds of schoolkids in, you have to do that. The Natural History Museum dinosaur exhibition as great but there was only one route through it and it was busy so I couldn't have a proper look at them. Everyone was taking pictures but no-one was really looking. 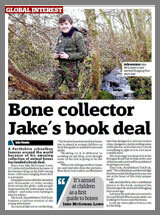 It would have been great for most schoolkids but frustrating for me. Not all the museum was like this, but it would have been nicer to sit and see the dinosaurs properly in good lighting. But this is what the Grant museum looked like. You could wander round however you wanted, get right up close to the skeletons, or sit down and have a chat and the lighting was good to show all the details. 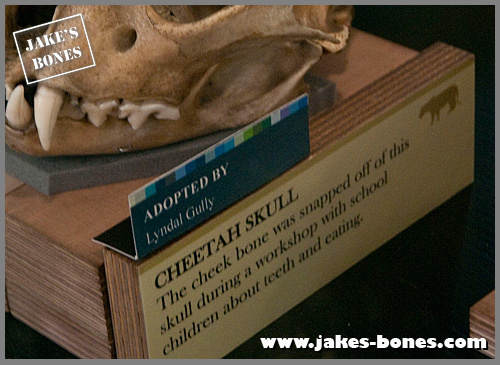 If you want to get close to a dugong or tiger skeleton to touch it, this is where to go. 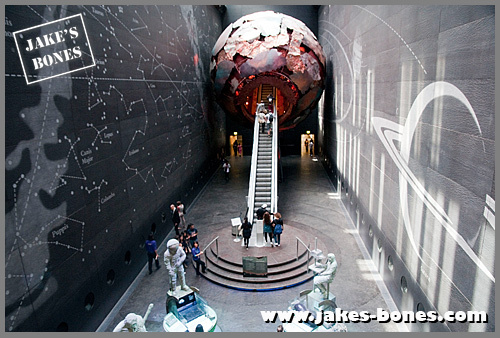 Almost all museums will have scientists or experts working down below, but most of the time you would never know it. 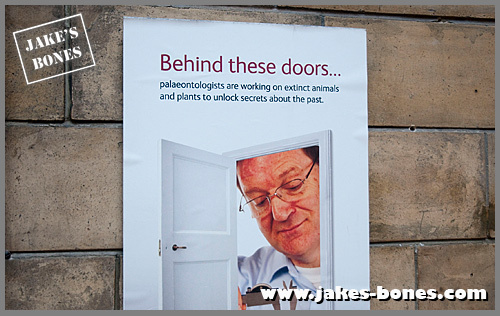 The Natural History Museum has about 200 experts working, and although you can't see them, they put up signs letting you know about their work. This is a brilliant idea. 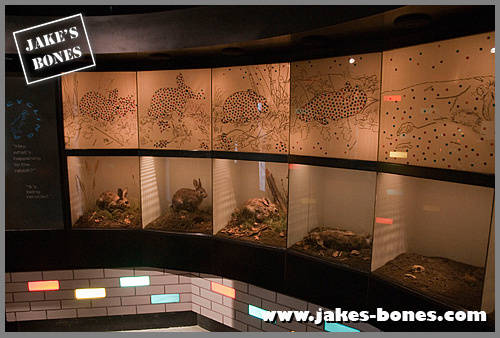 It also had displays explaining about death and decomposition and how all the elements and atoms in a dead body get recycled and reused by plants and other living things, although they wussed out by not showing any actual decomposition, just a dead rabbit and then some bones. They also found interesting ways to show difficult things. 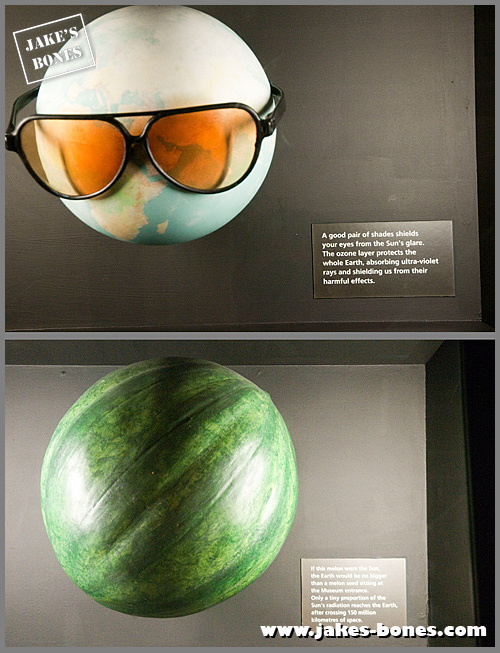 Instead of saying how far the sun is from the earth (93 million miles) they showed a melon, and said that if that was the sun, the earth would be a melon pip by the museum's entrance. Basically, all those posters that show you the planets lined up are a load of pants. They also likened the ozone layer to a pair of sunglasses, which is a clever way of explaining what it does. Both the Grant Museum and the Natural History Museum are brilliant not just at showing their specimens but also at getting people thinking about nature, conservation and the world in which we live. What is more amazing is how well the Grant does it with a tiny amount of space much less staff and a much smaller budget. It also has skeletons with pants on their heads watching you when you visit ! I'm going to write a lot more about both these museums in later posts as well ! They're both ace. 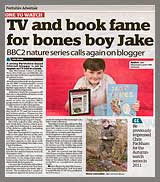 Great blog post :) I was in London last week too! I wish I had known about the Grant Museum but I'll have to go there on my next trip. 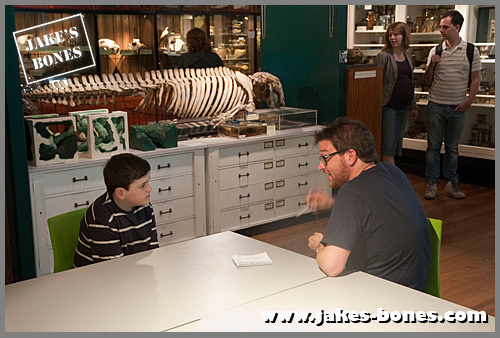 I can remember when I was in sixth form we went to the Natural History Museum and got taken to the Darwin Centre, I think that is quite similar to the Grant Museum, full of jars of specimens.....they had a chimpanzee in one jar! Is the book Audubon's Birds of America? When I visited the New York AMNH, they were exhibiting the prints of Audubon's Quadrupeds of North America - amazing stuff, especially when you consider what he went through to paint them - visiting the Grant, Horniman and NatHistory Museum in quick succession would make for some pretty interesting comparisons! Really makes you appreciate how much amazing stuff the Grant packs into a tiny tiny space! 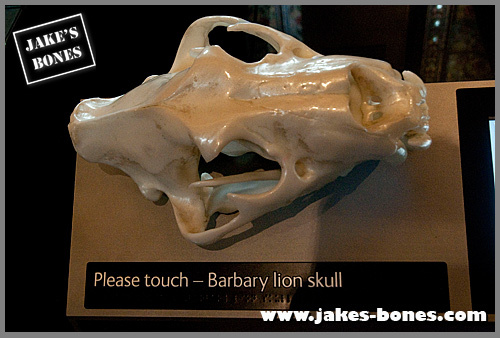 The Barbary Lion skull is 3D printed, I chatted to one of the curators involved when I was still volunteering at the NHM. Richard Owen still lurks above the main door in the central hall. Did you see the portrait of Alfred Russel Wallace next to Darwin? 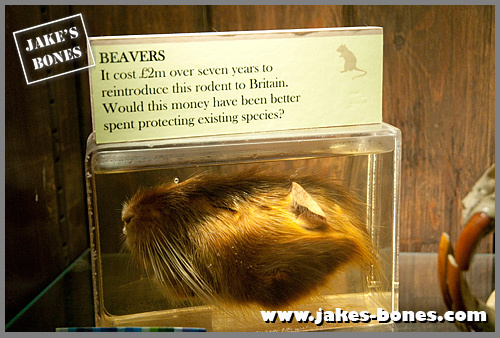 The Grant Museum have a jar full of moles ! Yes, that's the one. 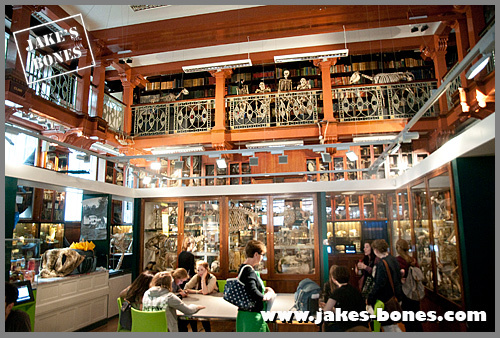 The Grant museum uses its space far better. No, I didn't see anything next to Darwin. £D printing is amazing ! It doesn't feel anything like a real skull though. The Grant Museum is great. I work at UCL and it's an excellent lunchtime diversion. The image of the jar of pickled moles will stay with me for a long time. 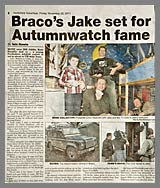 Great post Jake, keep them coming! I just discovered your blog and am very impressed! I started collecting "dead things" around your age (cleaning a coyote skull right now) and am so glad that kids are still interested enough in the natural world to get outside and really explore it. 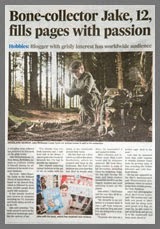 Keep it up and I look forward to your book coming out! Not good for looking at over lunch ! I've been to London twice in my life and neither time managed to get to a single museum! :( I've wanted to see the Natural History Museum since I was really young so that's always going to be the first place I'd go to if I go again but the Grant Museum looks really interesting too so thanks for the head's up!